What a time we live in for making music! Today you can buy all kinds of amazing gear for so little money, people of the 1960s would have given their left nut for some of the stuff on this list. I thought I would put together a little list of 5 awesome synths you can get brand new for under $75! 3. Casio SA-46 – Probably the most bang for your buck, the SA-46 is a preset synth by Casio that is absolutely tiny, but unlike the rest of the synths on this list, it actually has a real keyboard. Don’t let it’s size fool you, because the sound quality of this little beast is nothing short of phenomenal! 4. Macchiato Mini Digital Synth DIY kit – This one is one of my favorite on the list. It’s a real synth with an actual MIDI input, and you make the case out of cardboard (plans included). I love it! 5. 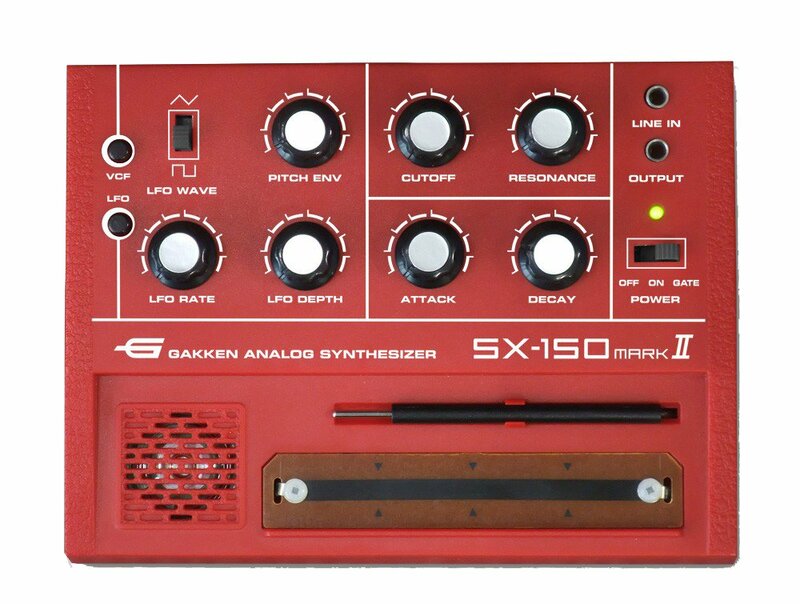 Gakken SX-150 Mark II – This one is a very basic analog synth with stylus control, but what makes this one especially cool is the analog filter actually has a line in feature. So you can plug any other audio source into it and tweak it with the filter in real-time! If you can’t see the pictures or links above, make sure you’re adblocker is disabled to see the links! So there you have it. This is quite an awesome collection of synthesizers, and every single one of them will cost you less than most commercial synth VSTs out there! This entry was posted in Uncategorized and tagged analog, best cheap synthesizers, cheap analog synthesizers, digital, hardware synthesis, hardware synthesizer, hardware synths, hardware synths vs software synths, synthesizers for under 100, synthesizers for under 50, synthesizers for underground, synthezisers for under $75, with midi input on March 26, 2019 by DemonicSweaters.